Health and safety is paramount on a cruise ship. Chefs and other staff working in the galleys must ensure that high standards of cleanliness are maintained at all times to avoid contamination and the spread of disease. Prevention of contamination begins from the source. Cruise line companies ensure that the vendors of various food items comply with safety and hygiene laws during preparation (if any), packaging, storage and transportation. Staff in charge of receiving goods have various procedures to follow to ensure that only produce that adheres to strict standards is accepted. The rest is simply rejected. During storage on board, a number of guidelines are followed. The major ones include storage of meat and vegetables – raw meat must always be stored below vegetables to avoid any liquids from dripping into fresh produce. Recent deliveries are usually stored at the back so that those with earlier use-by dates leave the store first. Food items are also stored in a different area from chemicals such as cleaning liquids and other sanitisers used in the galley. The threat to food is greatest from the people handling them. In this regard, everyone from the storage staff to the cruise ship chef to the wait staff must follow strict personal hygiene procedures. All staff is required to wash their hands frequently and in the correct manner, particularly between tasks, after using the restroom and after an interruption such as answering a telephone call. It is even required to wash one’s hands after scratching an itch to ensure that no germs whatsoever can make their way into the food being prepared. 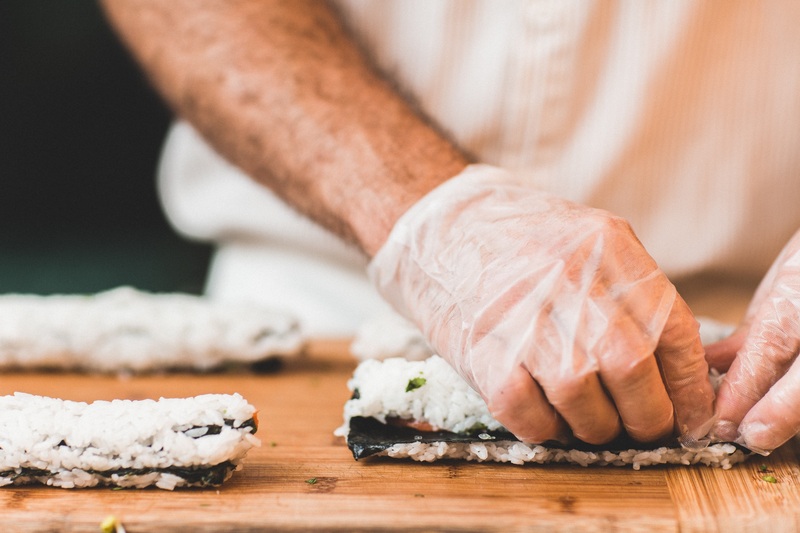 Galley staff must have short nails, tie long hair – even beards, wear clean uniforms and aprons, properly cover wounds and cuts, use properly fitted single-use gloves when handling ready-to-eat food, and remove all jewellery when working in the prep areas. Importantly, cruise ship chefs are expected to report when they are feeling ill, particularly if they have experienced diarrhea, nausea and vomiting in the last few hours. These are the symptoms of food-borne diseases, such as norovirus, which are extremely contagious and can cause an epidemic if not contained properly. One of the main ways to prevent contamination of food on cruise ships is controlling the temperature at which a food item is stored at and the length of time it remains at that temperature. It is virtually impossible and quite impractical to ensure that every last spoon of a particular dish is consumed in one sitting. Unfortunately, bacteria and germs tend to proliferate easily at warm temperatures – not too hot, not too cold. Guidelines are available to show chefs the proper temperature to store different food types at to slow the growth of harmful bacteria. This is extremely important on a cruise ship as the population includes many individuals who could be at a higher risk of contracting diseases, such as old people, toddlers, or people with compromised immune systems such as those with HIV. Dishes and utensils are expected to be kept cleaned and sanitised at all times. There are particular procedures to follow when washing, cleaning and sanitising, and specific food-grade solutions to use during these processes. Each cruise ship has its own set of guidelines, but overall, most remain the same. Guests are key to the survival of the cruise ship industry, and to maintain high standards, companies have spot checks as do government authorities. Failing health and hygiene checks can cause the ship to be put out of service causing the company huge losses in revenue. The first and primary responsibility of a cruise ship chef is always to ensure his or her food is safe for consumption. This entry was posted in Chef Jobs, Cruise Life, The Galley on September 23, 2017 by admin. When cooking is a creative passion, it becomes an extension of the self. Today, the world is full of gourmets and foodies, the latter enjoying all food and dish in general while the former being a connoisseur. For gourmets, old-world cruises may have meant dining on standard fare, with nothing ‘exciting’ being served. Today, cruise ship companies tie up with top chefs to offer exquisite, one-of-a-kind food worthy of a special meal. They serve signature dishes that identify with a particular chef. This means, that both gourmets and foodies have their souls satisfied – the former are able to relish finer tastes on a cruise ship, while the latter can expose themselves to a variety of top-notch cuisines within easy reach. Signature dishes are almost like an artist’s style or author’s voice where discerning viewers or readers can name the individual just by looking at the piece of art or body of text. Similarly, connoisseurs of food can often name the chef simply by tasting the dish – some even without visual cues of plating. A few of the most well-known signature dishes include Gordon Ramsay’s Beef Wellington and cappuccino of white beans with grated truffle, Heston Blumenthal’s Snail Porridge and Franz Sacher’s Sachertorte. Chefs can have more than one signature dish. Some signature dishes are created by accident. Jean George apparently created the now famous chocolate molten cake after he took his dessert out of the oven too soon. His cake has a brownie-like crust with a warm oozy centre that has the consistency of chocolate pudding. Most often, however, well-known signature dishes are the product of hours of painstaking effort and in-depth knowledge of ingredients, tastes and techniques. Blumenthal’s Meat Fruit, for example, sings of his love for technique – using a bain marie to cook chicken livers, creating silken meat paste using sieves, and the additions of four alcohols to infuse delicate flavours into a dish that looks like a sweet-tart mandarin, but tastes savoury and rich. But it’s not just top chefs who can make signature dishes. As cruise ship chefs on the rise, you can make one too. Recipes are available by the thousands, but you probably have your favourite way to make your favourite food item – it could be a bruschetta, a pasta, a vegetable bake, a grilled beef steak, a kulfi or even a gin and tonic. The beginnings of a signature dish lie in your love for the basic dish or key ingredient. Perhaps you love making pasta with tomato sauce. Start by studying flavour combinations or go with your gut feeling on what you could add to your dish that might make it different or better. Experiment with spice, herbs, additions like vegetables or meats and other condiments. 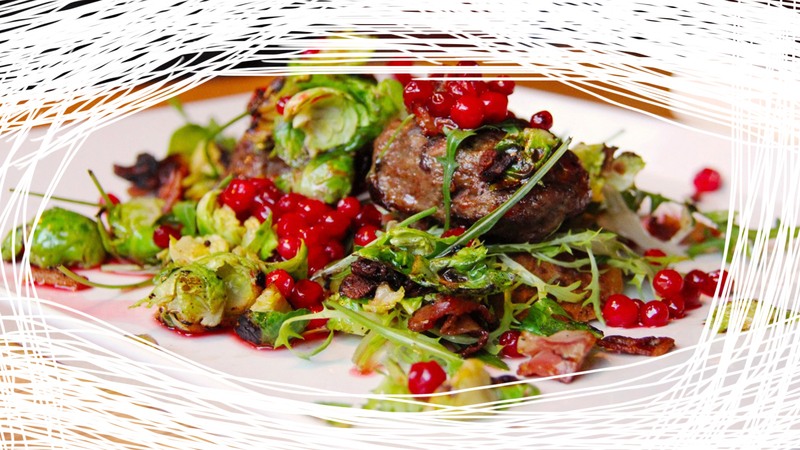 You can also try different ways of cutting vegetables or meat, as well as presentation that will make it visually more appealing so as to be able to serve it at a more formal dinner party rather than just a family meal. Go with a different way of preparing the dish – if it is usually fried, try steaming, grilling, poaching or baking. Choose serving dishes that complement the way you want your dish to look. How hot or cold you serve a dish can also affect the way it tastes. Many small details go into creating a dish that speaks for you. You’ll find butter chicken in any restaurant across India, but perhaps there are moments when you close your eyes and you can almost taste the distinctive flavours of the one your grandmother made. It’s still butter chicken, but it’s her signature dish because you would be able to identify from any other. This entry was posted in Chef Jobs and tagged chefs signature dish on September 9, 2017 by admin. On many fronts, cruise ship jobs and land-based hospitality jobs are rather alike since they deal with the same premise – hospitality and service – but in other ways they are vastly different. One must first understand the hierarchy of working in a galley or a kitchen to strategise a path towards progress within the industry. In both, cruise ship jobs and land-based hospitality jobs, you will mostly begin at the bottom of the pyramid. Depending on the kitchen you choose, you will be a line cook in any one of the various departments – pastry, buffet, sushi, etc. On board a cruise ship, you will be required to have educational qualifications in food and beverage, or hospitality, and perhaps some experience too. For land-based jobs, experience is not compulsory, and smaller restaurants may not require you to have an educational qualification in the culinary arts. Larger establishments, such as five-star hotels particularly in big cities or tourist destinations, will expect previous experience but you might be able to win them over with a great interview even if you do not have a certificate to match. This would not happen for cruise ship jobs. Once you have a foot in the door, things change. On board a cruise ship, there are hundreds of line cooks owing to the vast volumes of food required. As you go higher in the hierarchy, the number of vacant positions dwindle and you can spend quite a bit of time in a single position before moving up. At the lower end, people quitting owing to the jobs being a financial stop-gap option or moving back home to their families helps open up vacancies. Cruise companies are far more likely to promote a chef from their own ships than one with similar experience from elsewhere as they will have better feedback on work ethic and personality. This is not so important in land-based hospitality jobs where moving up between different companies is frequent. Theoretically, cruise ship chef jobs offer excellent variety in terms of experience. With so many restaurants of diverse cuisines on board, you could be a sushi chef one contract, work the teppanyaki bar on another, whip up Continental dishes on a third and put your fingers in the Asian pot the following time. Even the open buffets serve such a huge variety of food that within a few years you will have quite a repertoire on your hands. This would be an impossible scenario in land-based hospitality jobs, where you would work in one type of kitchen or cuisine for a significant portion of time. Still, this offers the opportunity to get an in-depth understanding of that particular type of cuisine, and work with superiors on changing menus. On cruise ships, unless you are in a position of management, you will have to follow recipes created by others with no chance of personal tweaks. It is generally much easier to get top jobs on land compared with cruise ships. Indian food is taking the world by storm, but not many chefs find their way to the top spot on board. Things are changing, however, slowly but surely. The Q Experiences has recently launched an exclusive luxury cruise to Antarctica with Michelin-starred chef Atul Kochhar on board. In the meanwhile, cruise ship jobs are creating more and more great chefs from India who go on to make a name for themselves in land-based jobs. Vicky Ratnani, for example, worked on board for 14 years, including on the Queen Elizabeth 2 training with Todd English as his executive sous chef. With the skills and experience they receive on board, others become trainers and fulfill high-level positions in leading hospitality firms and hotels around the world. Weighing the benefits and disadvantages of cruise ship chef jobs and land-based hospitality jobs, and combining this with a target for the future will help you chart out your trajectory for success in the industry. This entry was posted in Chef Jobs, Cruise Life, Cruise Placement, Cruise Ship Jobs and tagged Cruise ship job, hospitality jobs, land based jobs on September 5, 2017 by admin.